What Will "High-Diving" Look Like At the World Championships? What Will “High-Diving” Look Like At the World Championships? Tweet What Will “High-Diving” Look Like At the World Championships? The structure of the swimming portion of the FINA Aquatics World Championships is pretty well established for the 5 primary disciplines: swimming, open water swimming, diving, synchronized swimming, and water polo. There’s still some tinkering being done with the format for the open water racing, but for the most part, people know what to expect when they show up at these events. The new, 6th discipline that FINA is including at this year’s championship, though, is shrouded in much more shadow: “High Diving“. The events will take place over three days from July 28th-31st. Will this be cliff diving? What will divers be judged on? Who is crazy enough to compete in this event? 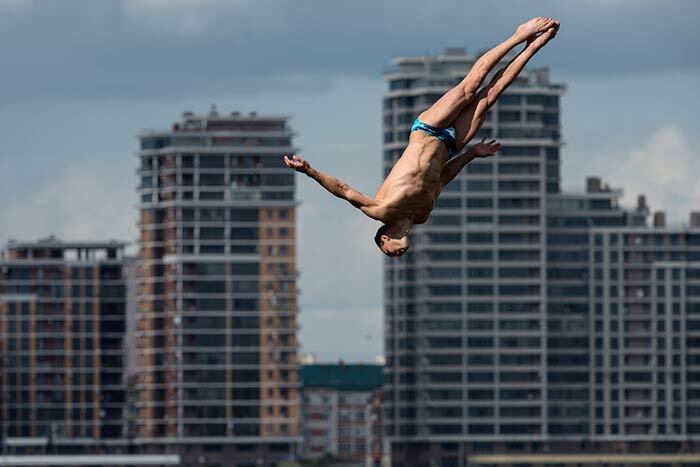 FINA is pushing full-steam ahead with trying to adopt its 6th discipline, even going so far as to create a high diving technical committee to design the formal rules for the event and push it long-term. 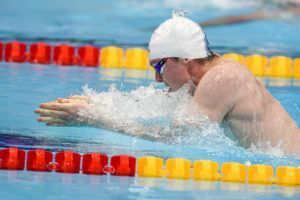 The inclusion as a 6th discipline, separate from tradition springboard and platform diving, shows how unique the event will be, much as it did with open water swimming being separated from pool swimming in the last major addition. At present, the event for Barcelona has much bigger male entry lists than female, and opponents of Title IX would be happy to hear more prize money will go to men than women. In fact, perhaps due to sponsor interest or perhaps in an effort to jump-start the discipline, high diving will award more money per event than diving, synchronized swimming, or open water swimming. The list of entrants to date is below, and will include more Americans (6) than any other country. As of yet the Chinese, who typically dominate the springboard and platform events, haven’t entered anybody in the high version of diving. The names for the most part won’t be all that familiar to fans of diving, as none of them are high-profile on the more traditional diving events (again emphasizing that this is a different sport). Most of the participants come from the cliff-diving circuit which has attracted such high-profile, high-octane sponsors as Red Bull. Again, much like open water swimming, a majority got their beginning off of the 1-meter springboard, but don’t expect David Boudia, Tom Daley, or Wu Minxia to show up on 27 meters anytime soon. What Will High Diving Look Like? The high diving event contains similar elements to old-school cliff diving, only it will be off of a constructed platform into the Barcelona Harbor. The platform will have four different levels, as measured to the water: a 5 meter platform, a 10 meter platform, a 20 meter platform (for the women’s competition), and a 27 meter platform (for the men’s competition). These platforms can be adjusted 1 meter in either direction. At impact, divers will be travelling at over 50 miles per hour. For those used to seeing their local diving apparatus, the 1-meter springboard is the lowest board, the 3-meter is the one above it (about as high as a basketball hoop), then comes the 5 meter, the 7 meter (which is actually 7.5 meters high) and the 10 meter. That means divers will be going from double (women) or almost triple (men) that height. It’s effectively the equivalent of jumping off of a 9-story apartment complex. Because of the physical toll of jumping from over 20 meters into water, divers will take only 5 dives, which will be divided up over two days. On day 1, each diver will have 1 required and 1 intermediate dive, and on day 2 each diver will attempt 1 required and 2 optional dives. The degrees of difficulties will look very similar to those seen in traditional diving disciplines. Without getting too far into the nuts-and-bolts of the event (which can be read more on pages 11 and 12 of the official rules book here), divers will do two required dives from different takeoff positions any intermediate dive with a DD of up to 4.1, and then any dive they wish for the two optionals. Among the twists that will appear different from other diving includes that the preferred entry position on a feet-first entry (which you’ll see more of than at high-level springboard diving), the preferred entry is with arms at the side, with big deductions for them being above shoulder level (a maximum score from each judge of 5 points). Most of the active judges have been pulled over from elite levels of platform or springboard diving, including Greg Louganis. Also, all dives submitted must have at least 180 degree rotation around a “horizontal axis”. Other than that, and the height, things will run a lot like normal diving. There will be 7 judges, with the two highest and two lowest scores tossed out. The three remaining scores will be added and multiplied by the DD. The Degrees of Difficulty get huge; the highest currently on the circuit is a 6.3 from Gary Hunt, who does a back 3 somersaults with 4 twists in the pike position. It’s hard to say. The Red Bull Cliff Diving Series has certainly been a hit – as are most of the extreme sports that Red Bull produces. Though Red Bull refers to it as “cliff diving,” the divers go off of platforms in that series. The Red Bull series mixes rules from FINA and from the High Diving Association (HDA), so the format should be easily replicated. The challenges will be two-fold. For one, it will be a question if FINA is able to recreate, or successfully merge, with the World Series format of Red Bull. FINA-style “series” competitions tend to have little flexibility and fail to get full commitments, whereas the Red Bull World Series has 10 divers who compete at each of 8 stops, plus four “wild cards” at each stop to help expand the sport. 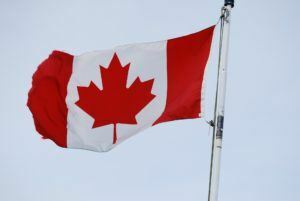 FINA’s best hope is to leverage the series that already exists and rather than try to change it, embrace it and simply work in an effort to expand the marketing. The other challenge will be one of safety. Danger is a part of these high-diving events, and one tragedy or near-tragedy will result in sweeping changes, or even elimination of the event altogether. This could be a concern to those athletes who understand and accept the risks, much as we saw many athletes speak out against making open water swimming “too safe” after the terrible passing of American star Fran Crippen, or in the ongoing process of the NFL trying to protect its players from long-term health issues associated with concussions. 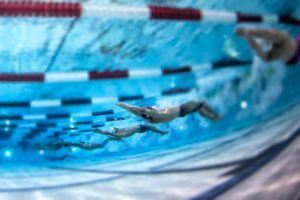 Finding a balance between making the events safe and maintaining the soul of the event could become a challenge for an international, highly-scrutinized organization like FINA. FINA needs to allow the events to be a little irreverent. Another, but maybe less incidental, challenge to the future success is the ability to capture the essence of the scenic beauties host sites as part of the overall marketing plan. Red Bull has done a phenomenal job of this (think similar to strategies used in Formula One racing), whereas FINA hasn’t had as much success in that with their circuit-type events. Of course, increasing participation in such a sport could also be a challenge, given the 5 willing and qualified participants in the women’s event. On the men’s side, the star and three-time defending World Series Champion is Great Britain’s Gary Hunt. He leads the 2013 World Series by just 10 points (effectively, one place) after three stops. The next stop on the Red Bull Series comes in Italy in July as a last tune-up for the World Championships. 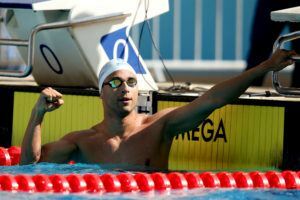 His biggest statement in more traditional events comes at the 2006 Commonwealth Games, where he scored a bronze medal on the 10-meter platform before transitioning to the cliff circuit. Artem Silichenko from Russia and Orlando Duque from Colombia are 2nd and 3rd, respectively, on the men’s circuit this year. Duque won the first World Series in 2009 (Hunt has won every one since). The top American is Steven Lobue. He was once considered to be the greatest diver in the history of the elite Purdue program, as he was the first ever Boilermaker to earn All-American status on all three collegiate disciplines in the same year (the beginning of a great era, one might say). He very-nearly qualified for the 2004 Olympic diving team, and though he’s not having a great season, he was 3rd at last year’s World Series. Lobue is also unveiling a new dive for this season, that carries the second-highest degree of difficulty of those currently-scored dives: a 6.1. He does a front 5 somersault with 1/2 twist in the pike position. The women’s circuit isn’t quite as well-developed. The first event on the women’s circuit will come just before the World Championships at the Italy stop, so a true “best in the world” discussion will be more apt after that event. Among the participants are Canadian Stephania de Lima, who was a WAC Champion on the platform as recently as 2011 for the University of Hawaii. Tara Hyer Tira dove for Notre Dame, while American Cesilie Carlton comes from the arena of “stunt diving,” which many of the divers in these competitions have at least dabbled in. OMG… 27 meters! Ten meters scared the heck out of me! How deep is the water? WHOKNOWS – I’ve actually been trying to figure that out all day. Will let you know if I do. Red bull.. buying Fina with Cans! I don’t mind it, as long as the money are given out to the athletes, not kept by the officials.